The CoinThief trojan has been found in cracked versions of many popular Mac OS X applications. Bitcoin has been opening up all kinds of new and unexplored territory recently. First, there's all the cool ideas of what you can do with a purely electronic currency, and then there's how you can make sure that all that currency is secure. For the latter, we've learned that it's best to avoid using scummy exchanges. 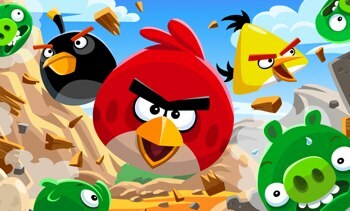 Now, according to antivirus maker ESET, bitcoin-stealing malware is hiding inside pirated versions of popular OS X applications like Angry Birds and Pixelmator. The particular trojan at work here is called CoinThief, which was first noticed earlier this month. At the time, it was hiding inside various bit/litecoin programs on legitimate sites like Download.com. It works by installing a secret browser plugin that swipes your login info to various bitcoin exchanges and wallet sites. ESET has identified the trojan in at least four popular pirated programs. Besides Angry Birds, there's also the BBEdit text editor, the Pixelmator graphics editor, and the Delicious Library cataloging tool. Apple's already updated OS X's anti-malware program to combat it, but Mac bitcoin users might want to take the step of installing an extra antivirus for the time being. That said, if you get your bitcoin cache stolen for pirating Angry Birds, you likely had it coming.